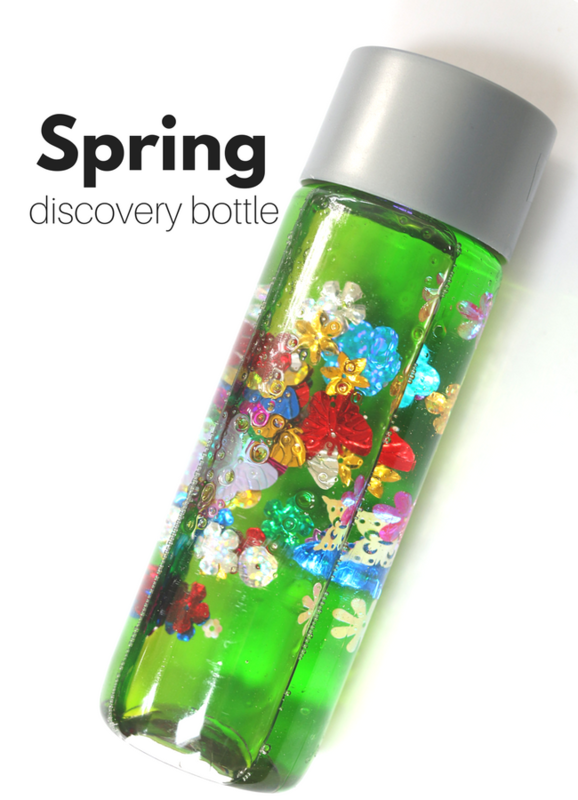 Last year I made this spring discovery bottle and didn’t really love it because the sequins don’t really scatter the way I wanted them to, so I never posted about it. I did end up sharing it on Instagram and I got such a huge amount of questions about how to make it that I decided to write the post I should have last year. 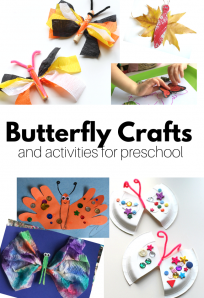 Don’t miss the link to great Spring books for preschool after the tutorial. Gather your materials. 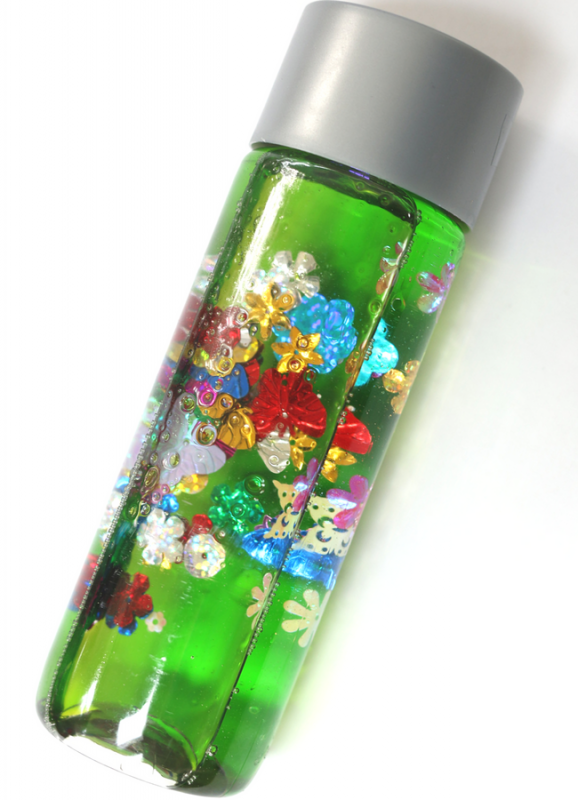 You will need a water bottle ( this one is VOSS) some baby oil or other clear oil, water, green food color, and spring sequin mix. I am pretty sure mine was sent to me by the supplier free of charge, but they didn’t pay me to use or post about it. 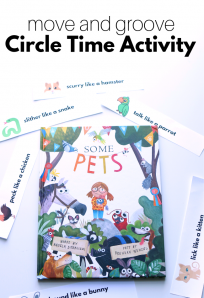 You can find it here ( no, this is not an affiliate link). 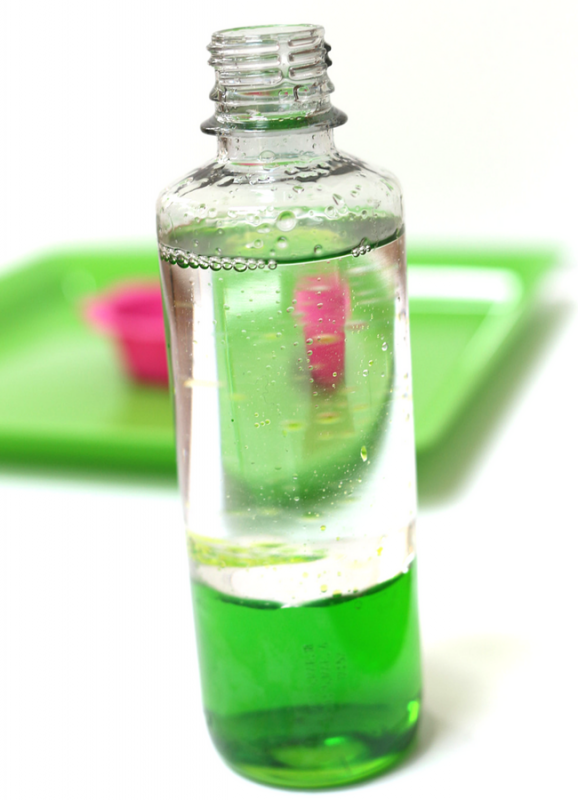 Start by filling your bottle half way with water and adding some green food color until the water is a nice shade of green. 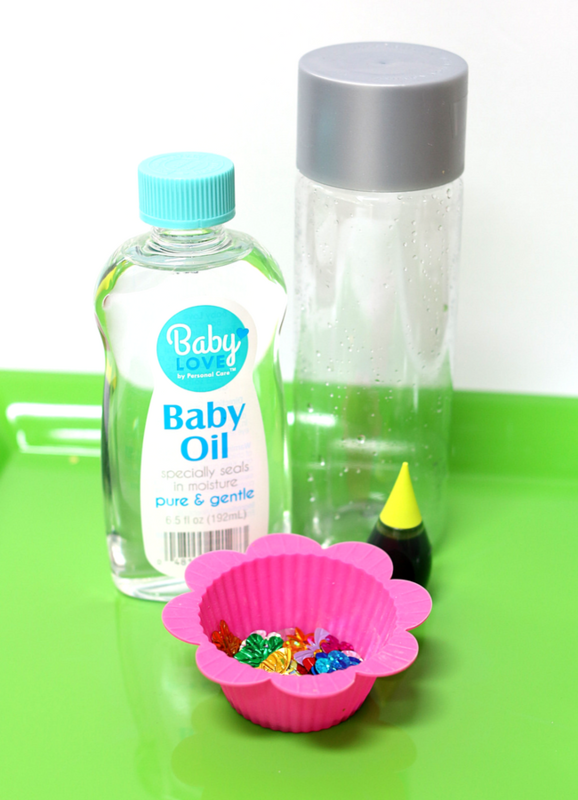 Fill the rest with baby oil, leave a little room so that there is good movement. Add the spring sequins. 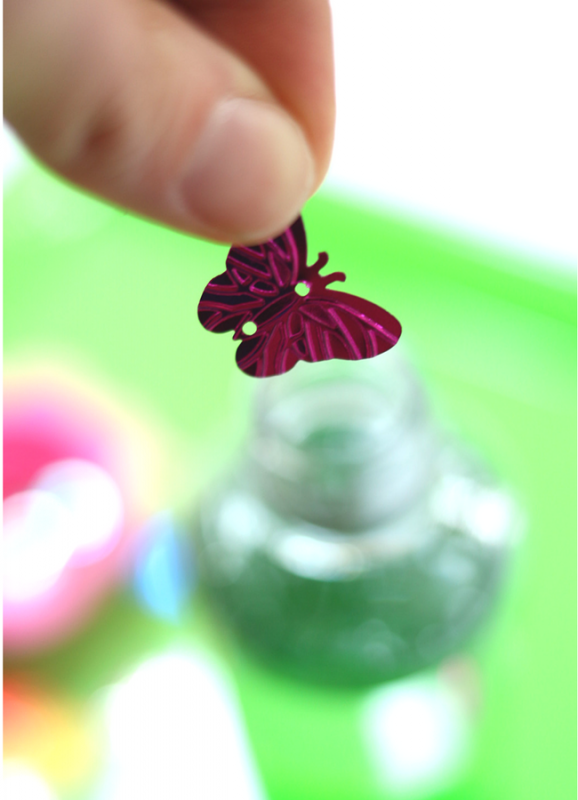 They will clump when the bottle is standing but put it on its side and it’s beautiful! Add the lid – you will likely want to duct tape the lid when there is oil, because if it breaks oh nelly is it a mess. I find glue can sometimes make the cap more brittle, and while I like it and trust it for most things, oil spills are the worst and need tape. 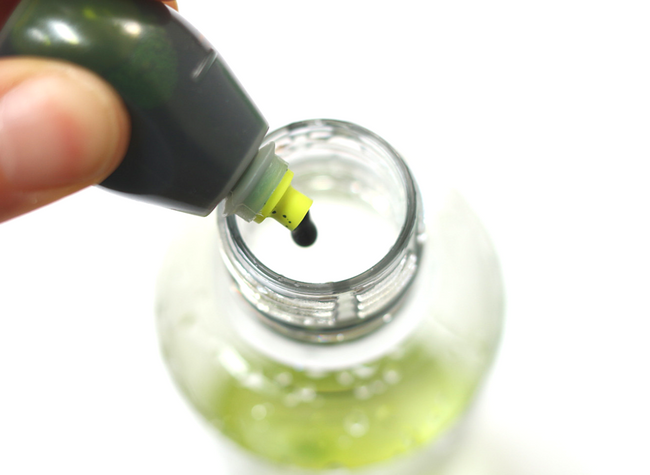 If you are generally wary of oil or food color in discovery bottles check out my no oil color mixing one here. Play. 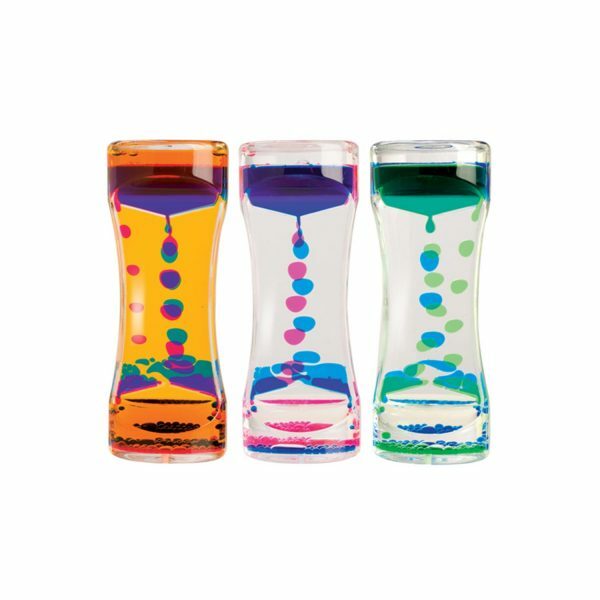 One of the best ways to use this bottle is to roll it, use it as an eye spy game ” I spy the color red!”, and just be mesmerized by the bright colors coming soon with spring! If you are not the DIY type or very nervous about the liquid leaking you could always buy one of these instead. 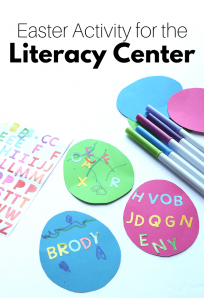 Click this affiliate link to get these for your home or classroom. 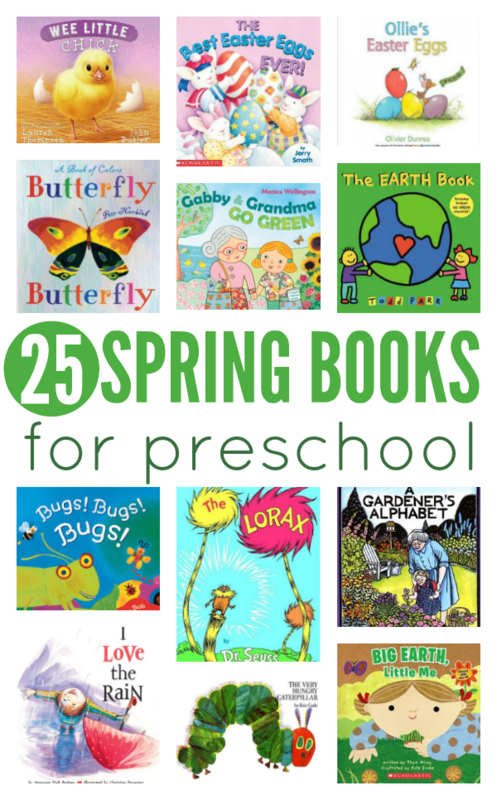 Click on the image above to read this whole list of spring books for preschool and read detailed reviews too.